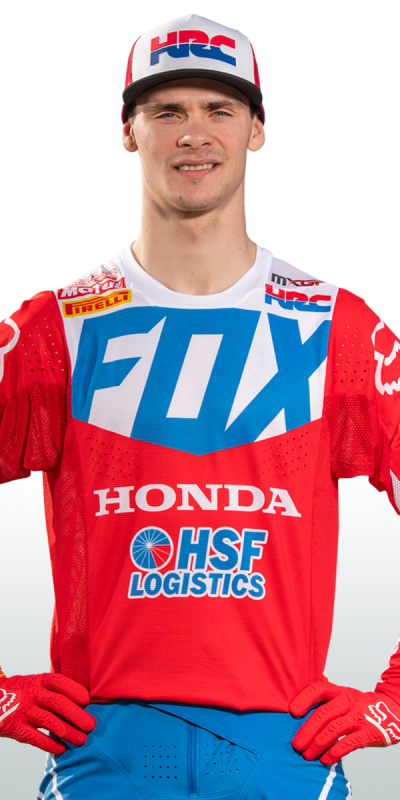 Team HRC’s Tim Gajser came out victorious after two incredible motos at the MXGP of Trentino. 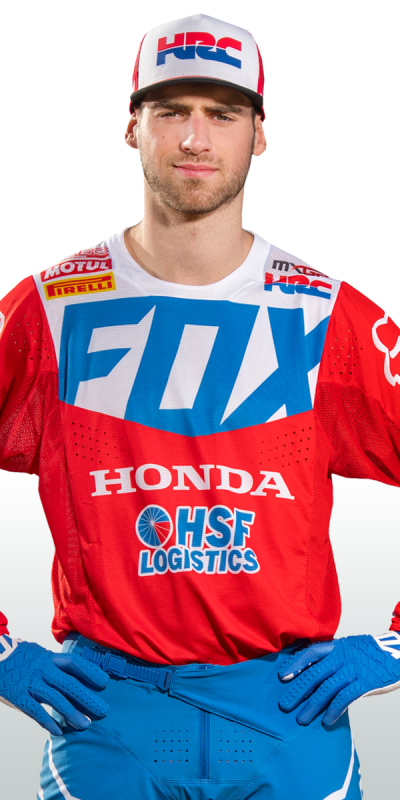 Engaged in two race-long battles, the Slovenian rider kept calm under immense pressure to make two late passes and claim his first MXGP overall of 2019, at the fourth round, held at the beautiful Arco di Trento track. After winning the qualification race, Gajser had first gate pick and that allowed him to get out of the gate extremely well in both races. In the first race he rounded the first bend in around fifth position before making a number of passes on the first lap to slot into second place. As he tracked the leader Antonio Cairoli, the pace increased for both riders as they kept raising the bar and lowering the laptimes. With just four laps remaining, Gajser pounced on a slight mistake and took over the lead, much to the delight of the large number of Slovenian fans in attendance. He then held on for the first moto victory despite a last lap charge by Cairoli, but he knew that he still had to secure race two in order to receive the honours of the overall. The second moto couldn’t have got off to a better start though, as Gajser raced to his first holeshot of the year, putting his Honda CRF450RW in prime position to take the second moto win. As the paced started to rise, Cairoli began to put pressure on once again, taking over the lead at the mid-point of the race. After studying the Italians’ lines, Gajser waited a few laps before making his move to regain the lead, eventually taking over with five laps to go. The two riders then gave everything they had for the remainder of the race, with Gajser coming out victorious to take a clean sweep of all sessions over the course of the weekend. It was nothing more than Slovenian deserved and it sent his travelling fans into raptures as they celebrated their rider on the top step of the podium, at their adopted home GP in Trentino. Round five also sees the riders’ return to Italy, at the sandy Mantova track near Verona. This event takes place on May 11-12 which gives everyone five weeks to prepare for what is the first of three back to back races in Italy, Portugal and then France. It is unbelievable. It’s my first win in over a year and it’s just such a great feeling. To do it here at Arco di Trento is especially special because of all the Slovenian fans that made the trip to come and support me. I had two great battles today, we were both riding so fast but I think the fans gave me that extra boost I needed to take this victory. Every lap I could hear them and it was amazing to win in front of them, just to repay them for their energy that they gave me. 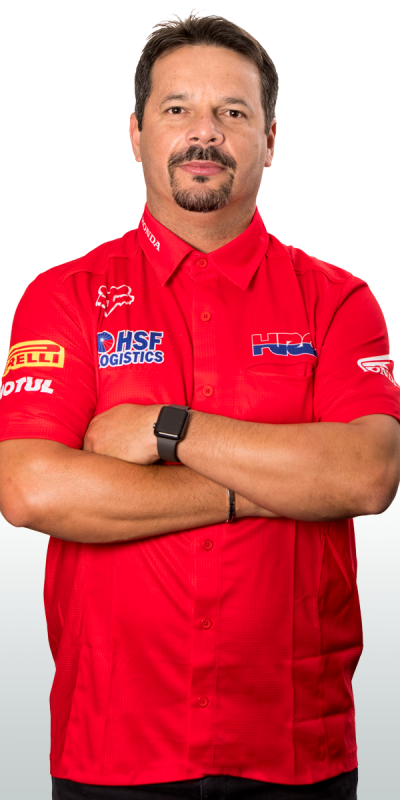 I am also so happy for all of the members of Team HRC who work so hard to get me to this level, they all deserve a lot of praise for the effort they put in every week, so a big thanks to them too. Now, there is a bit of a break until the next race but we are heading in the right direction and I can’t wait to try and put this Honda CRF450RW on the top step of the podium again. The first race I didn’t have the best start and I also crashed, taking too long to get back going because I got stuck under the bike. This left me a long way behind, but I got to work and despite this being a difficult track to pass on, I worked my way back inside the top 20, ending up 19th. Obviously I knew that I needed to improve my start and that’s exactly what happened in the second moto. I rounded the first few turns inside the top 10 and that’s where I was able to finish. You could see that if I can fight with those riders, I can finish in these good positions, so that was another step in the right direction. I improved my season best result with this ninth place but I know I need to keep working and that’s what we are going to do in this break. What an amazing performance by Tim today! To ride so well, with such pressure on his shoulders was just really impressive. Both motos was a race-long battle and to come out on top is just such a boost to him and to everyone in Team HRC. The pace he was riding was extremely high and it was great to see how comfortable he was feeling on his Honda CRF450RW and testament to how well the team has worked to try and get him to this level. It was also good to see Brian put in a top 10 finish, which is something we’ve known he is capable of, he just needed to put everything together. He rode solidly in that second moto and kept the speed of the riders around him and showed that he fits in with that pack of guys. Overall it was an extremely good weekend for Team HRC in the MXGP class and I hope that we can use this as motivation in this break to keep up the high levels and make sure we perform well in round five of the series. Our best wishes also go to Calvin Vlaanderen as he looks to get surgery on his right leg. 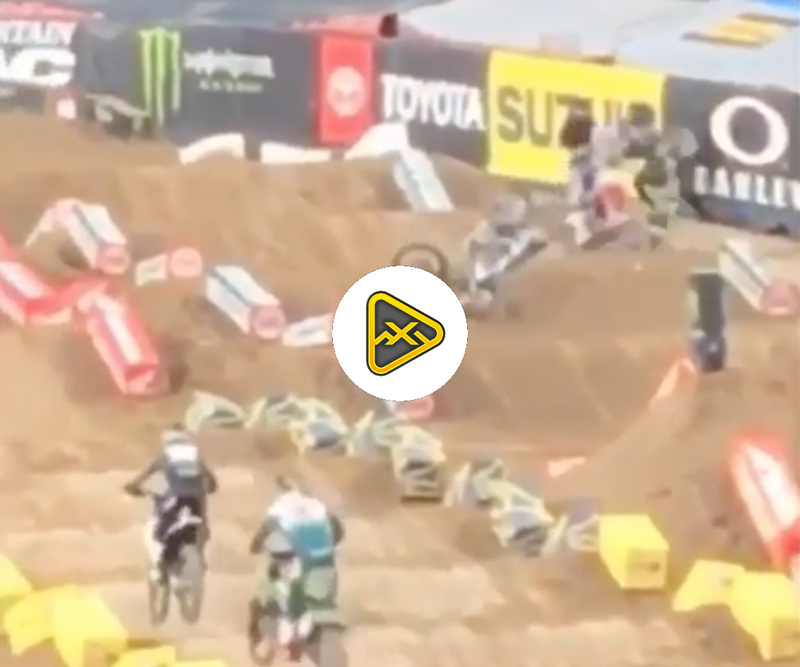 It was a real shame to see him get injured this weekend, when he was riding so well, and we hope that he will be fully fit by the time the next round takes place in Mantova.